Too much of Christian theology is located outside of the person and work of Jesus Christ. This is particularly true in the realm of eschatology (the study of “last things”). If you were to go to your average Christian bookstore and ask for a good book on the “end times” or eschatology, the clerk would take you to a bookshelf that had very little to do with Jesus. These books will tell you everything you might want to know about the emergence of the modern nation of Israel in 1941 to the present day, but the story of Jesus will hardly be mentioned. Once you begin to realize that even eschatology must find its center in Jesus, much of the frilliness of modern “end times” literature can be easily discarded. 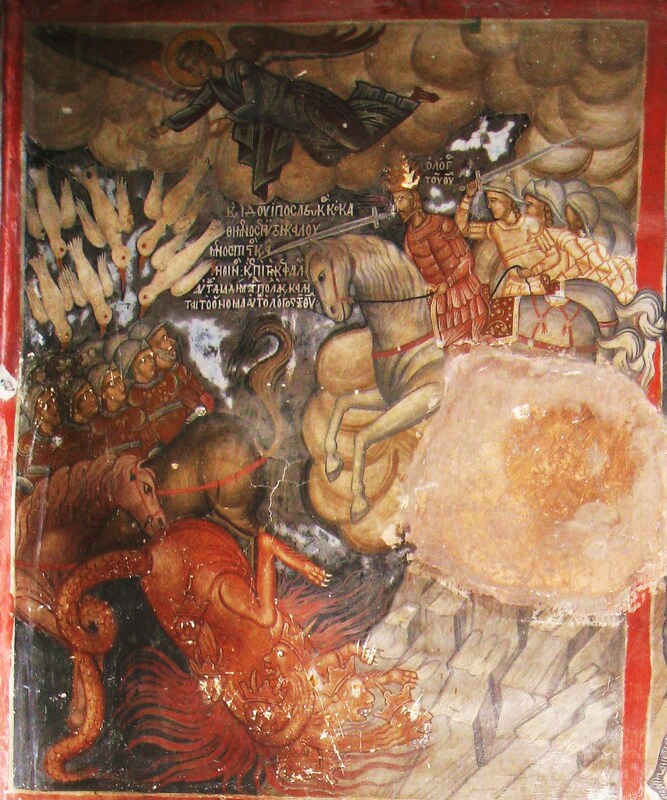 Did Kosmas the Aitolos Say "Curse the Pope" and "The Pope is the Antichrist"? 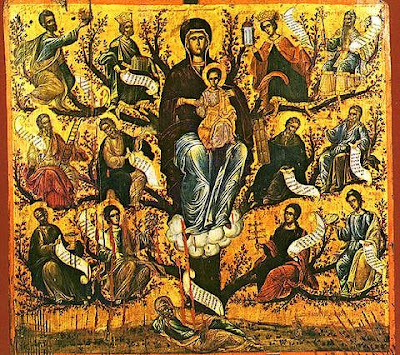 On 14-15 November 2014 at the Monastery of Vlatadon in Thessaloniki, Fr. Irenaios Delidimos gave a revealing speech titled "Saint Kosmas the Aitolos and the Theological Authority of his Works. An Anniversary: 1714-2014." 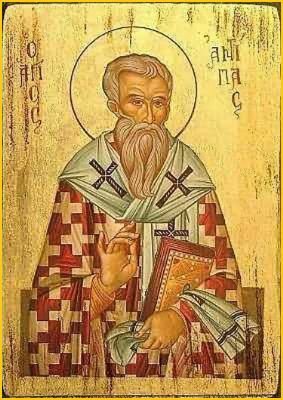 In one section of this speech he analyzed two phrases attributed to St. Kosmas, in which he supposedly said "Curse the Pope" and "The Pope is the Antichrist," among other things. Fr. Irenaios begins by stating that in the biography of St. Kosmas by Metropolitan Augoustinos Kantiotis, certain passages attributed to St. Kosmas were doubted to be authentic by the Metropolitan. 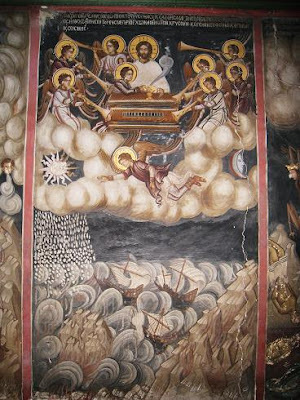 Among these, for example, were passages by St. Kosmas in which he allegedly talks about the origins of Judas Iscariot. However, regarding the phrase "Curse the Pope," the Metropolitan passes it over in silence, although he often made comments throughout his book, especially with passages that made a particular impression on him. It seems like he did not know what to do with it, and perhaps the Metropolitan did not like this passage, because it contradicted the Apostle Paul: "Bless those who persecute you; bless and do not curse" (Rom. 12:14). "Our God shall come and shall not keep silent" (Psalm 50:3). The vocation of a commander is different than the vocation of a judge. The commander does not show himself to his enemy immediately, but allows his enemy to think whatever he wants about him; for the main purpose of the commander is to conquer. The judge, however, immediately shows himself to those whom he has to judge. 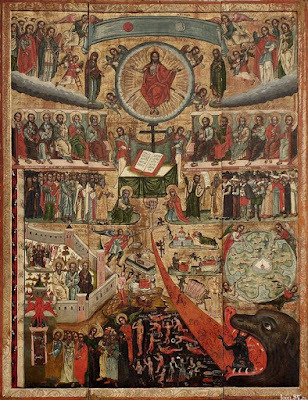 The eschatological expectation of believers, members of the Church, is based on the teaching of Holy Scripture concerning the state of Our Lord Jesus Christ in glory, to whom the Church turns man's mind and attention. Two states of Jesus Christ are distinguished in Holy Scripture. 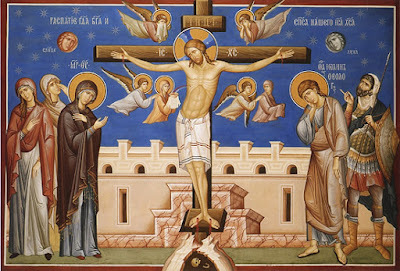 The first is that of evacuation (kenosis) and humility, beginning from the conception and culminating in the death on the Cross. 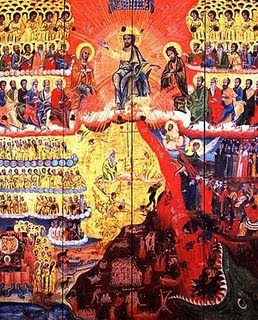 The second is that of elevation and glory, beginning from the Descent into Hades and culminating in the seat on the right hand of God the Father, and from then onwards until His Second Coming and the Day of Judgement. 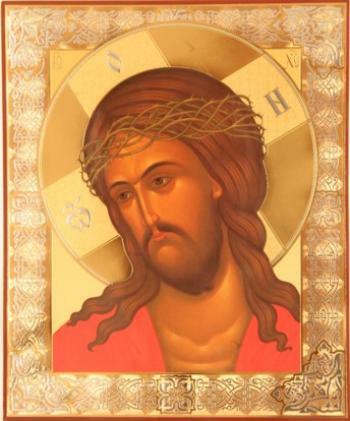 The Godhead of Christ is also proclaimed in the last Book of the Holy Scripture: The Revelation of John. When Christ's disciple saw the sealed book, which no-one could open, neither in heaven, nor on the earth, he began to lament inconsolably for the misery of the human race, which would remain in the darkness of ignorance. 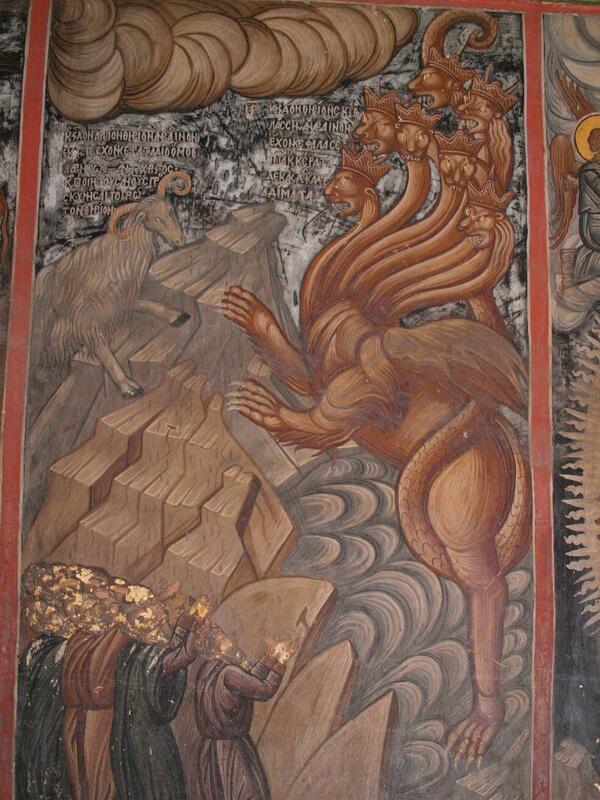 Then, one of the elders proceeded to speak, and says to him: "Do not weep, because the Lion of the tribe of Judah, the Root of David, has prevailed to open the book and to loosen its seven seals" (Revelation 5:5). We believe also in the resurrection of the dead. 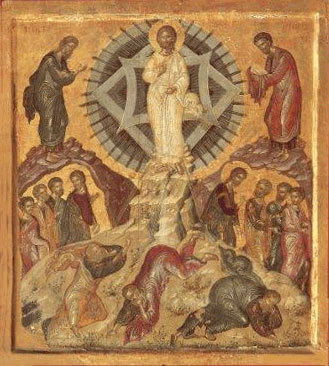 For there will be in truth, there will be, a resurrection of the dead, and by resurrection we mean resurrection of bodies.1 For resurrection is the second state of that which has fallen. For the souls are immortal, and hence how can they rise again? For if they define death as the separation of soul and body, resurrection surely is the reunion of soul and body, and the second state of the living creature that has suffered dissolution and downfall. It is, then, this very body, which is corruptible and liable to dissolution, that will rise again incorruptible. For He, who made it in the beginning of the sand of the earth, does not lack the power to raise it up again after it has been dissolved again and returned to the earth from which it was taken, in accordance with the reversal of the Creator's judgment. It should be known that the Antichrist is bound to come. Everyone, therefore, who confesses not that the Son of God came in the flesh and is perfect God and became perfect man, after being God, is Antichrist.1 But in a peculiar and special sense he who comes at the consummation of the age is called Antichrist. First then, it is required that the Gospel should be preached among all nations, as the Lord said,2 and then he will come to refute the impious Jews. For the Lord said to them: “I am come in My Father’s name and you received Me not; if another shall come in his own name, him you will receive.”3 And the Apostle says, “Because they received not the love of the truth that they might be saved, for this cause God shall send them a strong delusion that they should believe a lie: that they all might be damned who believed not the truth, but had pleasure in unrighteousness.”4 The Jews accordingly did not receive the Lord Jesus Christ Who was the Son of God and God, but will receive the imposter who calls himself God. For, that he will assume the name of God, the angel teaches Daniel, saying these words: “Neither shall he regard the God of his fathers.”5 And the Apostle says: “Let no man deceive you by any means: for that day of the Lord shall not come except there come the apostasy first and that man of sin be revealed, the son of perdition, who opposes and exalts himself above all that is called God or that is worshipped, so that he sits in the temple of God,6 showing himself that he is God;” in the temple of God he said, not our temple, but the old Jewish temple. For he will come not to us but to the Jews, not for Christ or the things of Christ: wherefore he is called Antichrist. It is a great honour and also a joy to be giving this first memorial lecture. 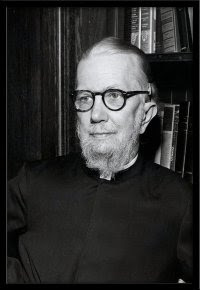 Dr Nicolas Zernov, in whose memory this lecture has been established, played a tremendous role in my life and in the life of many of my contemporaries, Russian Orthodox boys growing up in exile — a role of encouragement and inspiration in demanding from us, and showing us an example of, committed and unbroken service to the Orthodox Church. It was so easy for Russians in exile in the 20s and 30s to forget the past and to settle down happily by the waters of Babylon. It is men like Nicolas Zernov who encouraged and inspired us with their own example in maintaining faithfulness to the realities which he himself had served all his life: the Church and Russia, Christian Russia. So it is with real gratitude that I have accepted this invitation. I have been walking round Oxford for two days now and all the time remembering my first meeting with Dr Zernov. I was sixteen years old, and it was at a conference of the Fellowship of St Alban and St Sergius. I didn't speak English, I didn't understand what was discussed, I didn't even attend many of the sessions — I was more interested in playing tennis. But the fact remains that it was there, not in Paris but at that Fellowship conference in Britain, that I discovered the direction which my life was to take. For that I shall always be indebted to Nicolas Zernov. 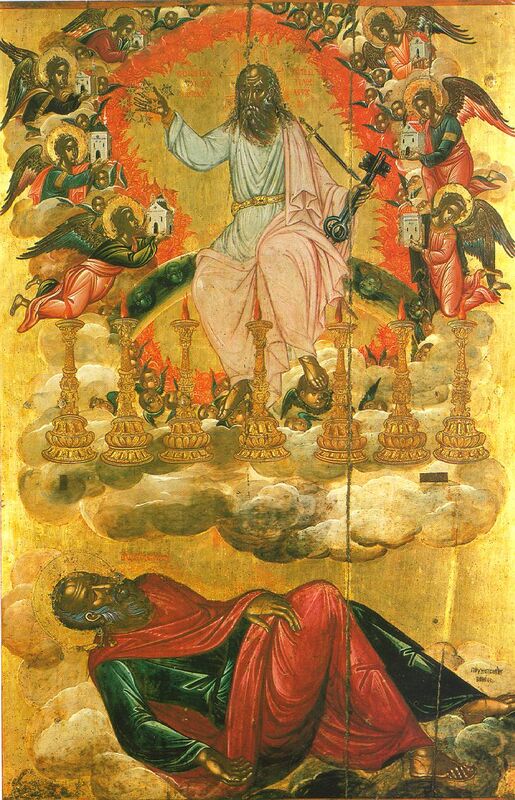 The "last things" are presented somewhat differently by St. John in the Book of Revelation, the last book of the New Testament. St. John writes differently because he received the truth differently. He is not just writing a book based on certain sources. He writes what he has seen in visions or received through special inspiration. "I was in the Spirit on the Lord's day and I heard behind me a loud voice. When I saw him I fell at his feet and I looked, and lo, in heaven there was an open door! and lo a throne stood in heaven" (Rev. 1:10-17; 4:1-3). Every vision stands for itself and has its own message. 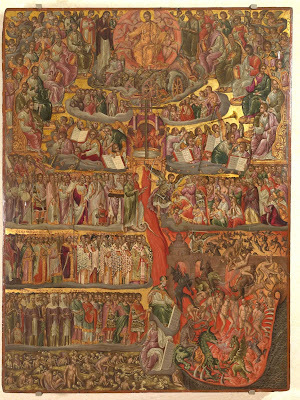 Through all of these images Christ speaks about the mysteries of God's will for the Church and the world (Rev. 1:1; 2:2-7; 5:1-5). All matters of religion appear difficult to most people because they are of a spiritual nature; but even more difficult is the topic of the "last things," for they have to do with future realities "that are not seen" (Heb. 11:1; Jn. 3:10-12), that only faith can "see," examine, and make real. The Jewish people were the beloved people of God and yet they were not satisfied with their present life in this world. All the great personalities of the Old Testament lived with hope for the future, for the fulfillment of the promises made by God to Abraham. Their main hope was the hope of the coming of the Messiah­ Savior, who would bring days of divine blessings for the Jewish people and for the whole world (cf. Lk. 2:25; 24:21). 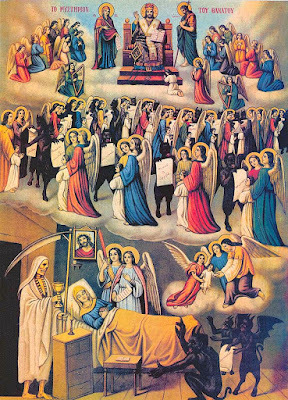 And they expected this to happen at some future date, in the last days of history ­ "in the last days," "in that day," "in the day of the Lord" ­ as this time was often referred to. 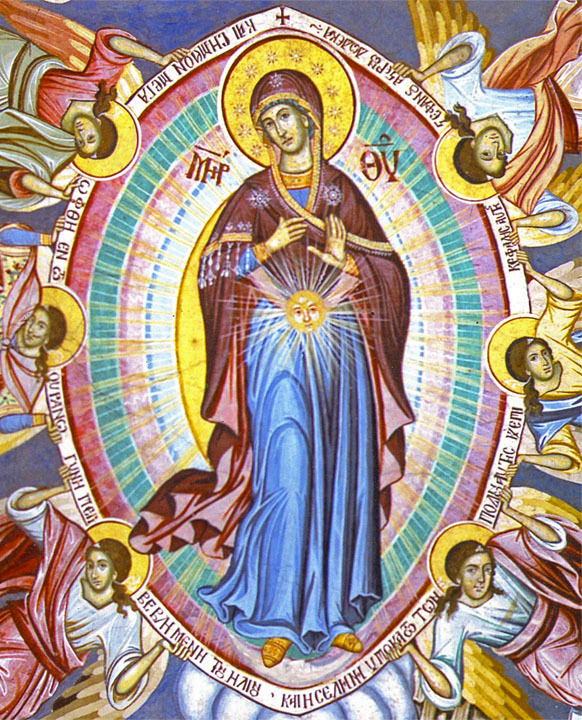 The Book of the Holy Apocalypse of John mentions a great sign which appeared in heaven, which was a woman clothed with the sun, beneath her feet was the moon while on her head she was crowned with twelve stars, and she was pregnant and crying from the pain of childbirth. 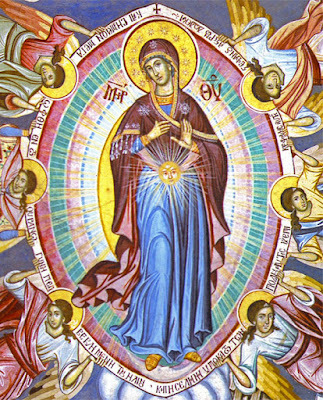 "And a great sign appeared in heaven: a woman clothed in the sun, with the moon under her feet and a crown of twelve stars on her head. She was pregnant and crying out in the pain and agony of giving birth" (Rev. 12:1-2). Christians are still too likely to misunderstand the Transfiguration and look upon it as just one miracle among others, a kind of apologetic proof. The feast celebrating it has likewise become indistinct to them, perhaps because it is the only one not to have a place in the chronological sequence of the Lord’s feasts. 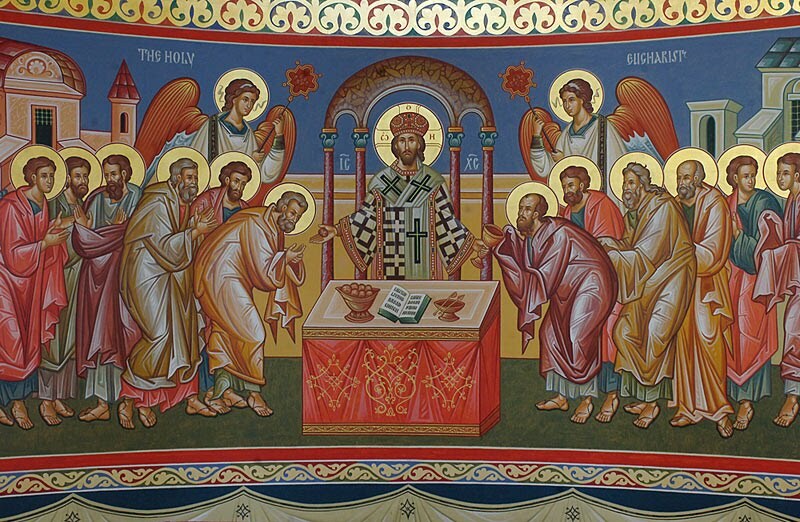 It is a commemoration of an event that occurred during his mortal life, but it is celebrated after Pentecost and in the bright light of summer (August 6). 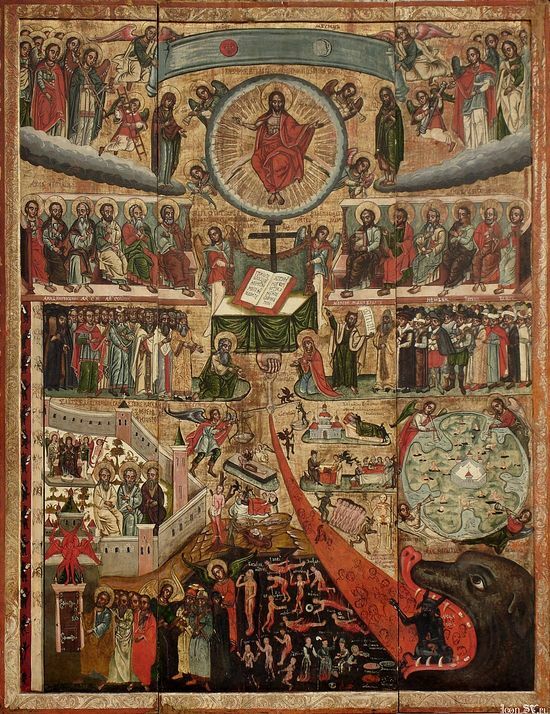 Yet this event, which upsets the logic that we see as governing time, is precisely the one that best brings home to us the eschatological condition of the body of Christ; it is an apocalyptic vision at the center of the Gospel. The Schengen Treaty, electronic identities and sermons on the Antichrist, whose number is said to be in the barcode system, constitute a powerful temptation for the members of the Church. The Orthodox people are choked with terror about future suffering and the risk of losing the gift of Chrismation. Two possibilities are put before them: either receive the mark of the Antichrist which results in eternal damnation, or not accept it which results in suffering, because then you can neither buy nor sell. Naturally this dilemma is stressful and creates anxiety and concern for the future. In some cases this anxiety takes the form of panic or even leads to financial planning for the future in order to overcome the difficult years of the Antichrist. Under these conditions, people's reactions take political overtones. Thus, the struggle is oriented towards pressing the government to not create favorable conditions for the rule of the Antichrist. "The Lord is not slack concerning His promise, as some men count slackness, but is long-suffering toward us, not willing that any should perish, but that all should come to repentance" (2 Pet. 3:9). Brethren, the mercy of God delays "that day which burns like a furnace, according to the words of the Prophet Malachi" (Mal. 4:1). Therefore, let the scoffers be ashamed, who scoff at the promise of God and say: "Where is the promise of His coming?" (2 Pet. 3:4). God has not forgotten His promise but the sinners themselves have forgotten it. God, according to His immeasurable mercy, waits for the sinners to come to their senses, repent and to prepare themselves for that day which is not repeated. Behold that day is not like the many days which are given to men for the sake of repentance and to prepare for the encounter with God. That day is the only day and it differs from all other days, for it does not come for the sake of repentance but rather for judgment. Just as the Dreadful Judgment is only one and unrepeatable, thus is that day only one and unrepeatable. It is a fact that we live in difficult, turbulent, uncertain and tough times. Some with zeal, fanaticism, extremism and exaggeration intensify this climate. They are fond of demonologies, antichristologies, eschatologies, myths, scientism and morbidities. They even use the Church for their fraudulent purposes. Unfortunately the ignorant are swayed by radio and television broadcasts, books and articles. One of the publishers of such books is Mr. Liakopoulos. When I was a kid I knew The World was going to Hell in a hand basket. I didn't know what that phrase meant, still don't really, but I knew that it was one of the only times I could get away with saying hell, because it wasn't swearing. The World was actually going there. Perhaps a couple definitions are necessary here at the outset. In my conservative, evangelical-before-we-knew-what-evangelical-was upbringing, Hell meant that very literal -- perhaps underground -- place where real flames burn real, bad people forever. And The World meant non-Christians, as in "be in the world, but not of it." Evangelicals often refer to any not-usses, any thems, as The World. 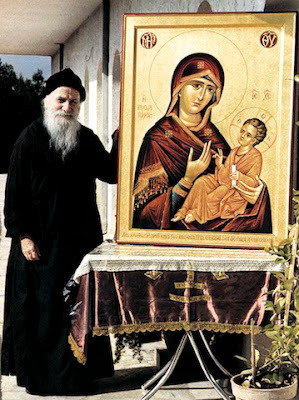 Very much has been said and written about the blessed Elder Paisios the Athonite (1924-1994). Already 16 years have passed since his blessed repose. 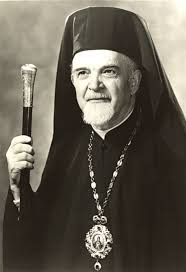 He passed away on 07/12/1994 in the Monastery of Saint John the Theologian in Souroti, Thessaloniki and is buried there. His tomb is a pan-Orthodox place of pilgrimage. People of all ages come from far away to light a candle and invoke help for their needs. 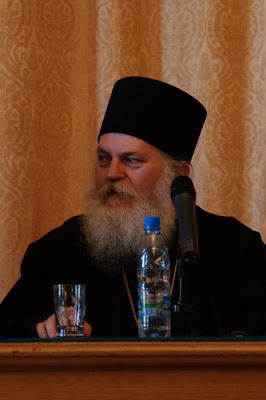 The following homily was delivered on October 19, 2014 for the feast of the Prophet Joel in the Cathedral of the Holy Protection in Edessa, at the request of Metropolitan Joel of Edessa. 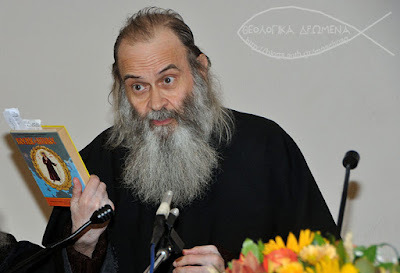 On this occasion [the feast of the Prophet Joel] he [Metropolitan Joel of Edessa] asked me to say a few constructive and supplicatory words, therefore in obedience I wanted to speak on the Prophet Joel and prophecy in the Orthodox Church and in our Orthodox tradition. Essentially I will speak about the theology of prophecy and generally the great value had by the Prophets in both the Old and New Testaments. The first point is that when one reads, my beloved brethren, the Old Testament, especially the lives of the Prophets, one will find that the Prophets were not just some thinkers, they were not just some theologians, as we now call them, nor were they philosophers. Because there is a huge difference between a Prophet and a philosopher. 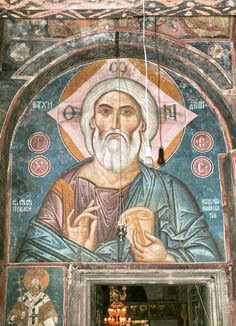 Philosophers think and attempt to discover God, while Prophets had an experience of God and God revealed Himself to them. Prophets, and this is very important, have encountered the living God, the pre-incarnate Word of the Old Testament, namely the Second Person of the Holy Trinity, Yahweh before the incarnation. They saw Him and they communicated with Him. They acquired a participation in the pre-incarnate Word and through Him with God the Holy Trinity. If we read the books of the Prophets, especially the first chapter of each to see how they begin, we will see this reality. 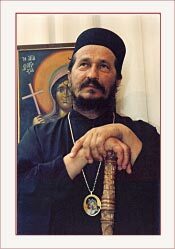 Elder Porphyrios: "I Don't Like To Prophesy"
At a time when more and more people feel the need, because of the profound crisis affecting mankind, to deal with eschatological events as described in the Apocalypse of Saint John the Theologian, as well as those things revealed by the Grace of God to the Prophets, the Fathers of the Church and contemporary saintly elders like Elder Paisios, we must especially stand with the view of Elder Porphyrios, and decode why such a great Saint of our time, while knowing with precision and detail everything that we are living and where things come from, avoided talking about these things. 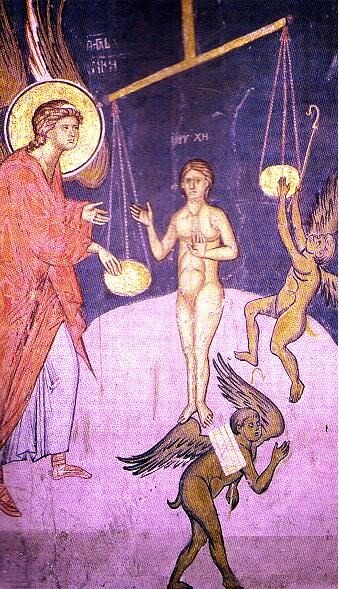 Both fundamentalist and non-fundamentalist biblical scholars, who have been victims of Augustinian and Carolingian presuppositions, become prone to misunderstandings of what they read in the Bible, especially when terms and symbols denoting glorifications which produce prophets are alluded to. A classical example is 1 Cor. 12:26. 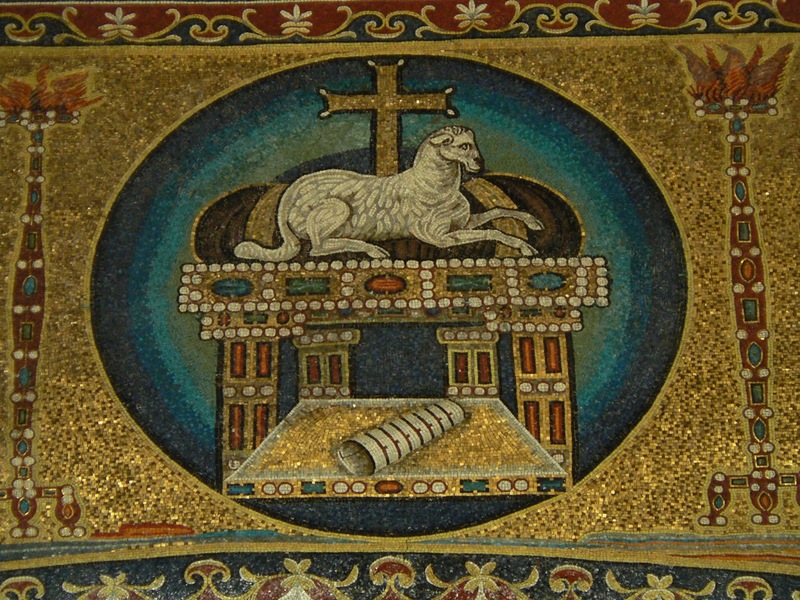 Here St. Paul does not write, "If one is honored," but "If one is glorified," i.e. has become a prophet. To be glorified means that one has seen the Lord of Glory either before His incarnation or after, like Paul did on his way to Damascus to persecute the Incarnate Lord of Glory's followers. The following is from an interview with Bishop Atanasije (Jevtic), a disciple of St. Justin Popovich, translated from the Russian to Serbian and published in a Serbian monastery periodical in 2002 (here, in Serbian). What do Athonite Monks say about the Last Days? Well, nowadays it is fashionable to speak about the Antichrist. Satan attacks from the left and from the right: he advises man either not to take care for the end times, or he tries to convince him that the end of time comes tomorrow. 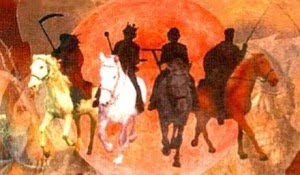 People apt to think about the End Times are afraid of everything, and that can bring only spiritual harm. A great number of such advice is not God-pleasing. A true Christian has to take care about the moment of his death – our death is our Last Day. 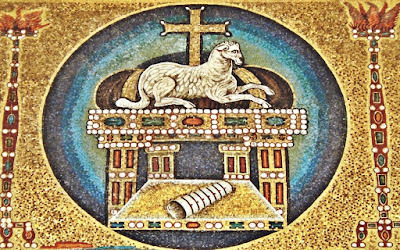 Be devoted to our Lord Jesus Christ, and the Church that keeps the Tradition will inform us about the Antichrist, and She is the One that will tell us what to do. "Behold, I am coming soon" (Rev. 22:7). The unfaithful and the slayers of the spirit will say, "Nearly two thousand years ago He promised that He will come and He has not come yet!" This is how they, who ridiculed Him, will lament in eternal torment. But we who are prepared for happiness in His Kingdom know that He will come in power and glory just as He promised. 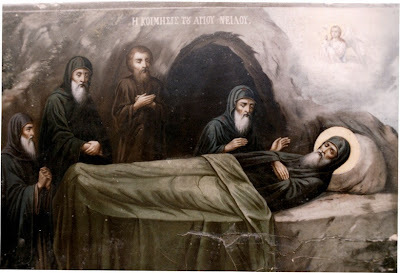 Saint Nilus (+ 1651) was a bright beacon of sanctity who struggled valiantly in asceticism on the Holy Mountain of Athos, and who upon his repose gushed an abundant amount of myrrh that testified to his holiness and purity. Between the years 1813 and 1819, a certain monk named Theophanes, also known as the "Prisoner", was troubled by a demon due to his many sins, and he also suffered from a hernia. 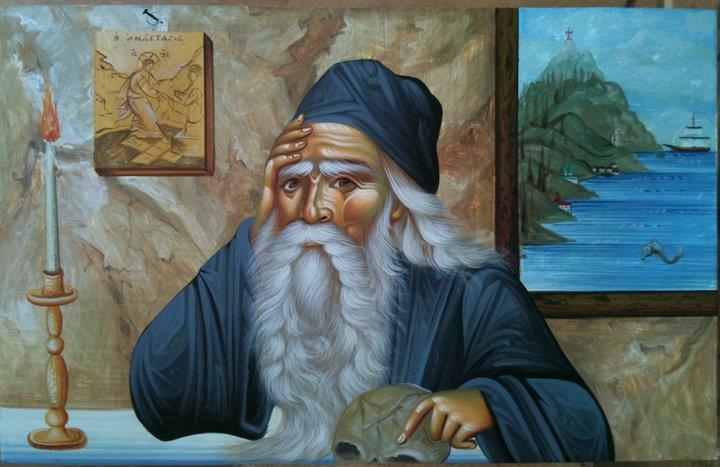 In despair over his condition he planned to leave the Holy Mountain until one day St. Nilus appeared to him. St. Nilus showed him an abandoned hut and instructed him to settle there, promising to provide for his needs. 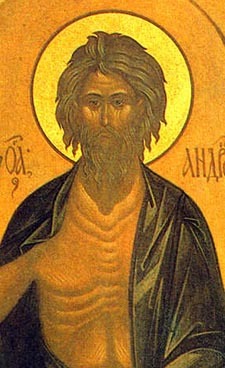 Theophanes obeyed, although at first he did not know it was St Nilus - only later did the Saint reveal himself. The documentary below is in Greek and takes us to the island of the Apocalypse, Patmos, during the solemn period of Passion Week and ends with how the locals celebrate the Resurrection of Christ on Easter. 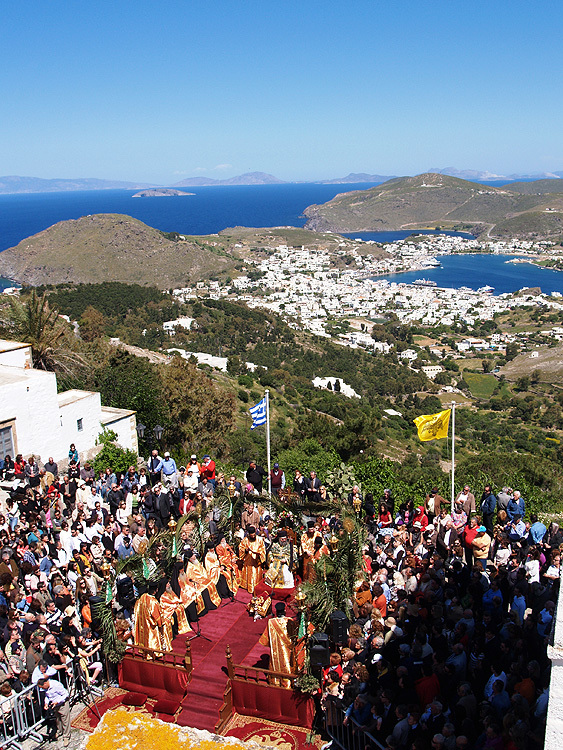 Three of the most important and unique features of Patmos during this time is the Holy Washbowl Ceremony on Holy Thursday, the Easter gathering on the afternoon of Easter Sunday, and the procession on Bright Tuesday. The five wise virgins, watchful and alert, had taken oil in the vessels of their heart. That oil, not part of their own nature, means the grace of the Spirit. 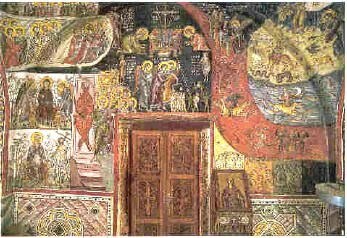 They were enabled to enter with the Bridegroom into the heavenly bridal chamber. The other five virgins, however, were content with their own nature. They neither watched nor busied themselves to receive the oil of gladness [Ps. 44:6] in their vessels, while they were yet in the flesh. Instead, they sank into sleep through carelessness, slackness, idleness, and ignorance, or even fancied righteousness. Hence, they were shut out of the bridal chamber of the Kingdom, unable to give satisfaction to the heavenly Bridegroom. Held fast by their tie to the world, and by some earthly affection, they did not give their whole love or passionate devotion to the heavenly Bridegroom; thus they were not provided with oil. 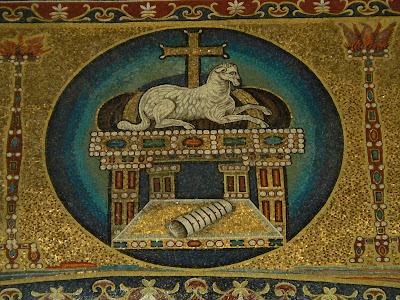 "They will fight with the Lamb, but the Lamb will conquer them, for He is the Lord of Lords and King of Kings" (Rev. 17:14). Who speaks these marvelous words? John, who saw God. Who is this Lamb? Christ the Lord. Who is this Lord of Lords and King of Kings? Christ the Lord. With whom will He wage war and whom will He defeat? He will defeat the beast which has seven heads and all those whom receive authority, honor and riches from the unclean beast. 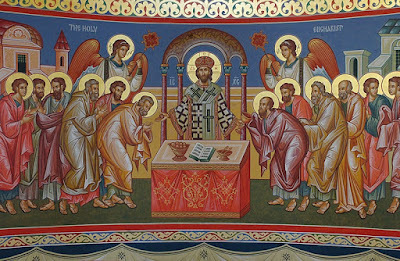 "You made them a kingdom and priests for God" (Rev. 5:10). The Lord Jesus wants to make all men similar to Himself. As the Son of God, He wants all men to become the adopted sons of God. As a King, He wants them to be co-kings with Him. As a Priest, to be co-priests with Him. As Almighty, to share in His strength. As Eternal, to share in His immortality. As Holy, to share in His holiness. As the Resurrected One, to all be the children of the resurrection. This, the Lord desired and that is why He descended to earth: to separate us from the animals and to elevate us above the life of the animals and to give us dignity over His visible creation, a dignity which Adam had in Paradise before the Fall. Because of this, His love for mankind and His salvatory plan for all people, the Lord was crucified on the cross by the Jewish elders. "Do not be afraid of anything that you are going to suffer. Remain faithful until death, and I will give you the crown of life" (Rev. 2:10). By His suffering our Lord eased our suffering. He endured the greatest of pain and emerged as the Victor. That is why He can encourage us in our lesser sufferings. He suffered and endured in righteousness while we suffer and endure in expiating our own sins. This is why He can doubly remind us to endure to the end as He, the Sinless One, endured. Not one of us has helped nor alleviated His pains and endurance, yet He stands alongside each one of us when we suffer and alleviates our pains and misfortunes. That is why He has the right to tell each one who suffers for His Name's sake: "Do not be afraid! Do not be afraid of anything that you are going to suffer," says Christ, for I alone have endured all suffering and am familiar with them. I was not frightened at a single suffering. I received them upon Myself and, in the end, overcame them all. I did not overcome them by dismissing them or fleeing from them but receiving them all upon Myself voluntarily and enduring them all to the end. And so you also should accept voluntary suffering, for I see and know how much and for how long you can endure. "Do not be afraid. I am the first and the last, the one who lives. Once I was dead, but now I am alive forever and ever" (Rev. 1:17-18). 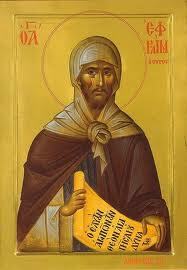 Thus says the Lord Jesus to His beloved disciple John in a vision on the island of Patmos: "Do not be afraid of what! 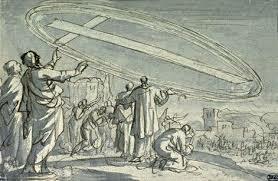 Do not be afraid of the persecution of the Church by the pagans. Do not be afraid of the tormentors who persecute my faithful on all sides. Do not be afraid of emperors who raise up persecutions against the Christians. Do not be afraid of powerful tyrants of this world who mock and ridicule My humility in My death. Do not be afraid of demons who blind men with passions so that they can't see the truth which I brought to the world. Do not be afraid of anything!" "The hair of His head was as white wool or as snow and His eyes were like a fiery flame" (Rev. 1:14). That is how John the Theologian (the one who gazed upon God) saw Jesus after His resurrection and victory. 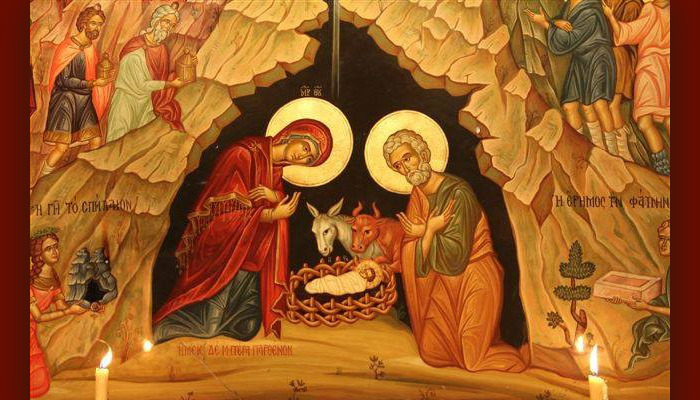 He saw Him as the Son of Man, clothed in a lengthy garment, girded about with a golden sash, with seven stars in His right hand, and His face "shone like the sun at its brightest" (Rev. 1:16). 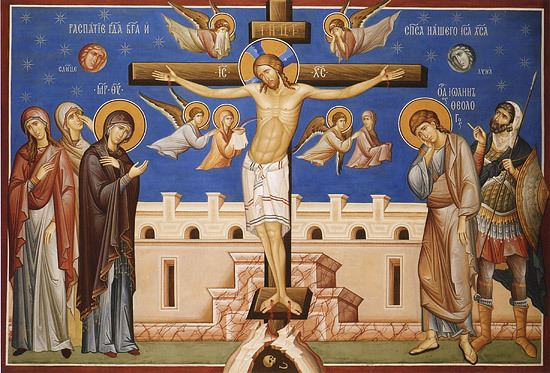 It was with this kind of power and glory that He appeared, Who on the cross was not radiant and Who seemed to be as the weakest of the sons of men to all the passersby. 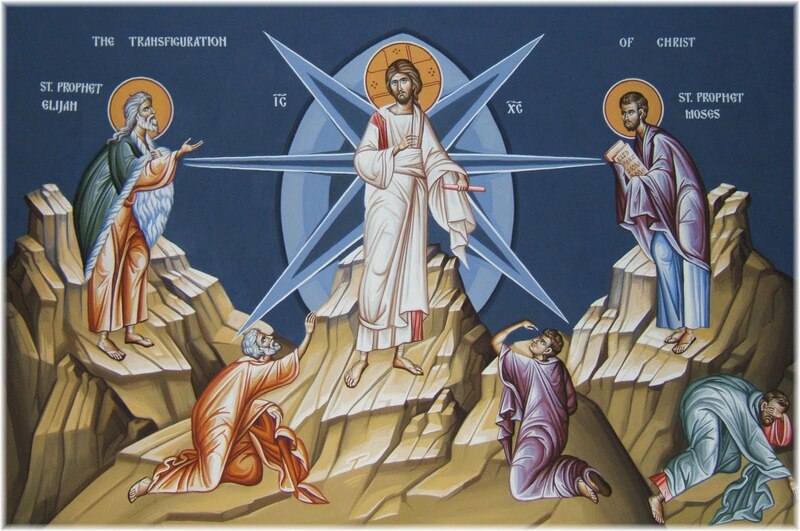 "When I caught sight of Him, I fell down at His feet as though dead" (Rev. 1:17). It was St. John who fell as though dead when he saw the Lord Jesus in glory. 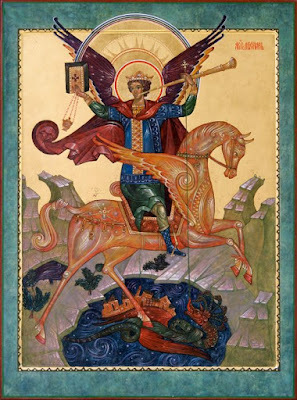 St. John, the Beloved Disciple of Jesus, the Evangelist, the Chaste One, the one who loved the Lord, and a zealot for holiness - could not stand on his feet nor compose himself when he saw his Teacher in His heavenly glory and power! But, "fell as though dead." "And all the nations will be assembled before Him" (Matt. 25:32). 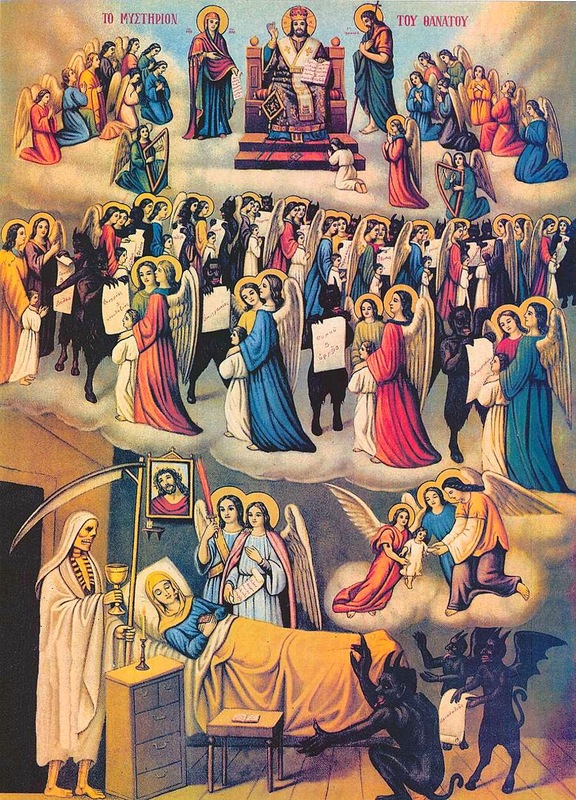 All the nations will be assembled before the Lord Jesus when He appears in His glory surrounded by Holy Angels sitting on a throne as the judge of all the living and the dead. "All nations will be assembled," all, without exception. Not only the Jews who tormented Him, not only the Christians who glorified Him, but also the heathen who knew Him not, nor acknowledged Him. For if He did not appear to all nations, He sent to all nations someone or He gave something for the sake of knowing God's will and for the sake of salvation. That is why all nations must appear before Him for judgment. 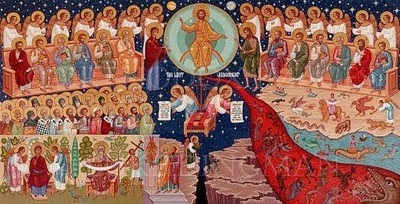 "When the Son of Man comes in His glory and all the angels with Him, He will sit upon His glorious throne" (Matt. 25:31). This is how our Lord spoke just before His most horrible humiliations, before being bound, before being spat upon, before being slapped, and before being ridiculed prior to His crucifixion. In His most darkest hour, He speaks about His most vivid and most glorious hour. Before His most terrible and miserable departure from this world, He speaks about His second coming in His glory. 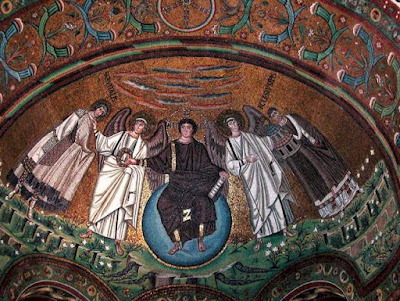 At first, He came from the cave in Bethlehem, humble and unseen, and the second time, He will come on the clouds of His angels. 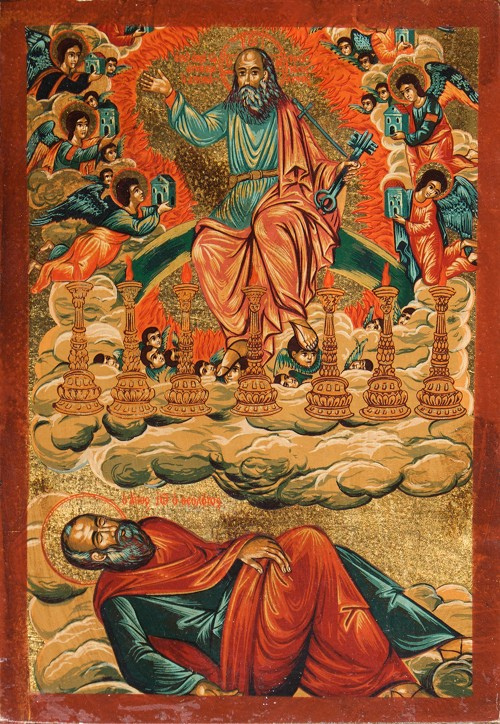 The first time as though He sprouted out of the earth, and the second time He will appear from the heavens. The first time He stood and knelt on the ground, and the second time He will be sitting on His throne of glory. 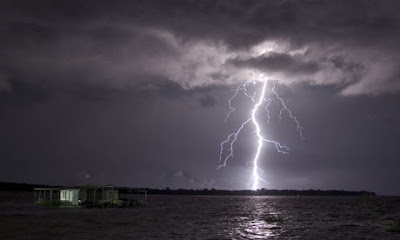 "For just as lightning comes from the east and is seen as far as the west, so will be the coming of the Son of Man" (Matt. 24:27). The second coming of our Lord Jesus will be a coming in glory. Our Lord repeated this many times. Here He tells us in more detail as to what this, His coming, will resemble. He says it will resemble lightning. Through this He reveals the five characteristics of His glorious coming. 31-33. When the Son of Man shall come in His glory, and all the holy angels with Him, then shall He sit upon the throne of His glory: and before Him shall be gathered all nations: and He shall separate them one from another, as a shepherd divideth his sheep from the goats: and He shall set the sheep on His right hand, but the goats on the left. You would like for God to pardon all sinners of His Terrible Judgement. Are you again tempting Christ just like that enemy of God tempted Him on the mountain? "If you are the all-merciful Son of God, have mercy on Judas and Cain and all serious sinners, and I will worship you!" This is how you could phrase your tempting of Christ. And the Lord Himself could respond to you and say, "Was I not merciful enough when I descended from My eternal glory into human darkness and gave My whole self as a sacrifice for mankind? How shall I pardon those who never asked Me for it; who despised My offered mercy to their last breath; who spilled the blood of My faithful disciples like water; who remained servants of Satan to the end?" The notion of "the end" - of an ultimate end - is a paradoxical notion. An "end" both belongs to the chain or series, and breaks it. It is both "an event" and "the end of all events." It belongs to the dimension of history, and yet it dismisses the whole dimension. The notion of "the beginning" - first and radical - is also a paradoxical notion. As St. Basil has said once, "the beginning of time is not yet time, but precisely the beginning of it" (Hexaem. 1.6). It is both an "instant" and more than that. The mystery of the Last Things is grounded in the primary paradox of Creation. According to Brunner, the term Creation, in its Biblical use, does not denote the manner in which the world did actually come into existence, but only the sovereign Lordship of God. In the act of Creation God posits something totally other than Himself, "over against" Himself. Accordingly, the world of creatures has its own mode of existence - derivative, subordinate, dependent, and yet genuine and real, in its own kind. Brunner is quite formal at this point. "A world which is not God exists alongside of Him." Thus, the very existence of the world implies a certain measure of self-imposed "limitation" on the side of God, His kenosis, which reaches its climax in the cross of Christ. God, as it were, spares room for the existence of something different. The world has been "called into existence" for a purpose, in order that it manifest the glory of God. The Word is the principle and the ultimate goal of Creation. 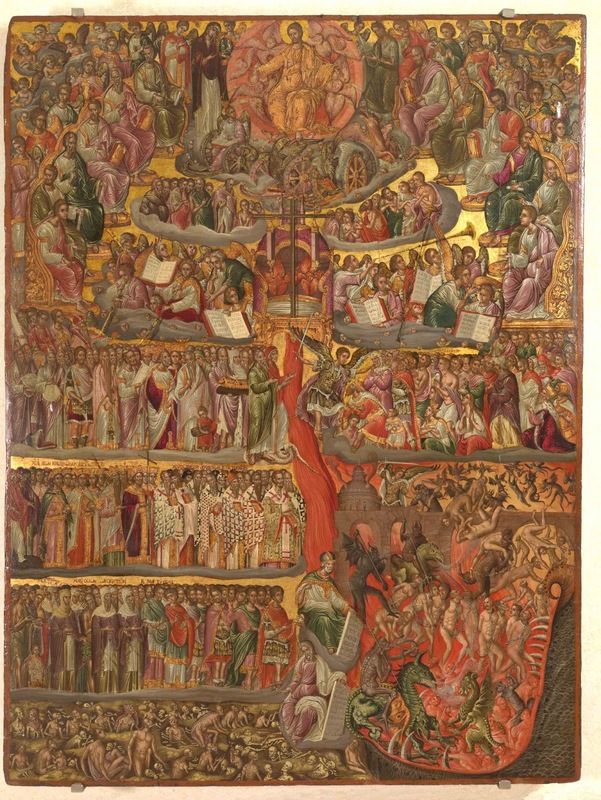 Eschatology was for a long time a neglected field in modern theology. The arrogant phrase of Ernst Troeltsch - "The bureau of eschatology is for the most part closed" - was distinctively characteristic of the whole liberal tradition, since the Age of the Enlightenment. Nor is this neglect for eschatological issues fully overcome in contemporary thought. In certain quarters eschatology is still regarded as an obsolete relic of the forlorn past. The theme itself is avoided, or it is summarily dismissed as unreal and irrelevant. The modern man is not concerned with the last events. This attitude of neglect was recently reinforced by the rise of theological Existentialism. Now, Existentialism does claim to be itself an eschatological doctrine. But it is a sheer abuse of terms. Eschatology is radically interiorized in its existentialist reinterpretation. It is actually swallowed up in the immediacy of personal decisions. In a sense, modern Existentialism in theology is but a fresh variation on the old Pietistic theme. In the last resort, it amounts to the radical dehistorization of the Christian faith. Events of history are eclipsed by the events of inner life. The Bible itself is used as a book of parables and patterns. History is no more than a passing frame. Eternity can be encountered and tasted at any time. History is no more a theological problem. 25 years from the date of the Chernobyl accident (26 April 1986), the radiation level in the area of Prophet Elijah Church, the only church operating in the exclusion zone, was well below the level across the zone, Chernobyl disaster liquidators state. 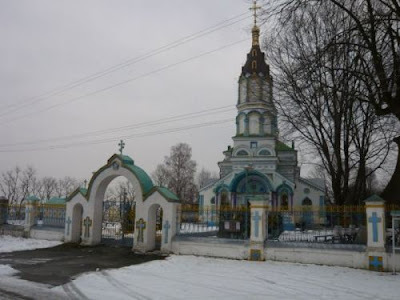 "Even in the hardest days of 1986, the area around Prophet Elijah Church was clean (from radiation - IF), not to mention that the church itself was also clean," the president of the Ukrainian Chernobyl Union Yury Andreyev said in a Kiev-Moscow video conference on Wednesday.